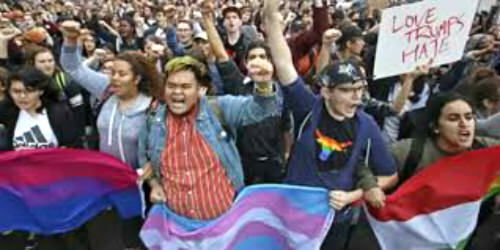 Breaking News: Liberal Groups Plan Violent Disruption for Inauguration Day! I guess we should have figured that the same liberal thugs who protest and destroy property every chance they get would use Inauguration Day as a reason to partake in mayhem. I, for one, had hope that by January 20th cooler heads would have prevailed and liberals would simply choose to become a gracious “party of opposition.” Apparently, that isn’t going to be the case though. President-elect Trump’s good buddy Roger Stone recently infiltrated a liberal organization that is planning protests for Inauguration Day and he detailed what they had planned during a recent broadcast on his videocast. It’s scary stuff folks. A transcript, and the video itself, follows below. This is the blueprint for disruption, the Alinsky plan.